Managing user profile data from a social media network is of great importance and use for companies in digital marketing and other areas. Of course there are guidelines for its uses and the amount that can be known but it does come to great effect and can be utilised to make your company far more attractive. Being able to access people’s social media profiles thorough the use of a log in can give you all sorts of information on the person, from likes and dislikes to hobbies, interests, friends and places visited – all of this is shared consciously with you which makes it all the better. Managing to augment all this information, with the information you already have on your customers is the ultimate test and the thing which will improve your business. Preparing for the future is one of the best ways to ensure you are future proofed and your data can be used for the future. Unifying mobile, networked kiosks and your partner sites with users profiles on mobile and on traditional networks means you won’t have to do so in the future. Keep aware of trends and plan for the future to get ahead of the posse. This data is also extremely important, so back it up. Use disk backups regularly as you would pay a lot to get this information compiled through other means. 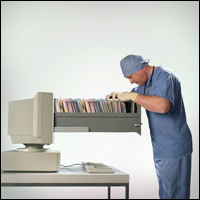 Screen and the workflow are very important in this area of registration. Ensuring users don’t have to think and can just flow with giving you access to data makes things a lot easier. Transparency is also of huge importance. Those who allow you access want to be able to manage their data, what the public can see and what’s private and also want to know who’s managing it. Allow them all of this and you won’t have a backlash. Social data is usable for a number of reasons and can be used to power email marketing, social media marketing or for onsite personalisation such as blogs and tweets, or promotions. This sort of social media allows you to build a full 360 degree perspective about users and allows you efficient operating. You may only need certain aspects of a person’s information for your needs – email tools may only need names and addresses and some more particulars – this is possible with a number of registrations systems and is easily done and changed without the need for a huge amount of expertise. This all allows you to improve your site, your plans for your site and is critical for improving your onsite experience. Keeping ahead of the wave and using all the tools available allows you to create a dynamic and engaging site.